Here you will feel perfectly at home in your private retreat from the hustle bustle world nestled in the woods. Enjoy entertaining on the large deck with woodsy view. This town home has been fully updated with new windows & patio doors. You will love the hardwood floor and a kitchen with custom cabinetry and granite countertops. Warm by the living room fireplace. The finished basement has a full bathroom, gas fireplace and above grade windows. For the piece de resistance, a luxurious master bath with heated floor and heated towel rack. 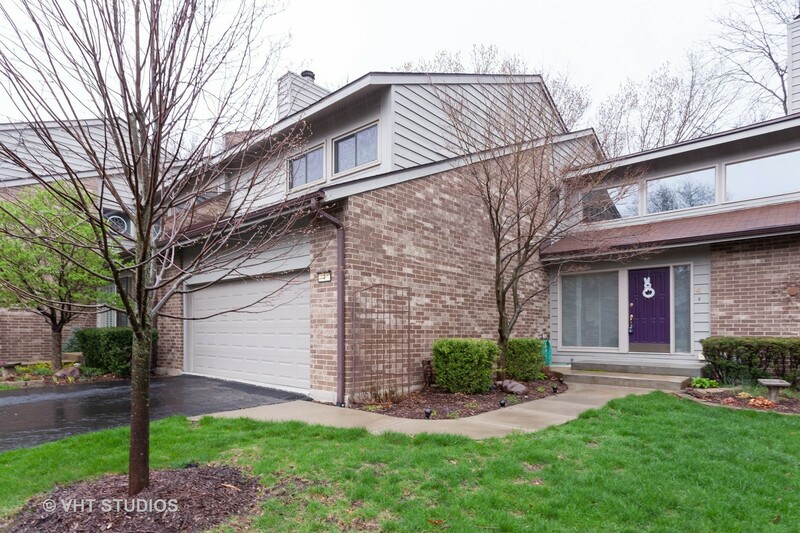 Here is a marvelous location with pleasing views and with a very short walk to the metra station you can be on your way to downtown Chicago.